Central Line-Associated Bloodstream Infections (CLABSI) are often the result of medical malpractice. An estimated 250,000 CLABSIs occur every year in the US with 800,000 of them happening in the emergency room. More than 30,000 people die from CLABSI in the US every year. The CDC estimates that the yearly cost related to CLABSI is $1 billion. 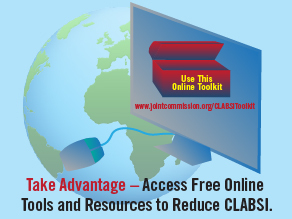 To prevent these infections, the Joint Commission Today released a very useful toolkit to supplement a previously published monograph entitled “Preventing Central Line-Associated Bloodstream Infections – A Global Challenge, A Global Perspective” . This document provides best practices and guidelines for healthcare professionals who insert and care for intravascular catheters and who are responsible for the surveillance, prevention, and control of infections in all healthcare settings.